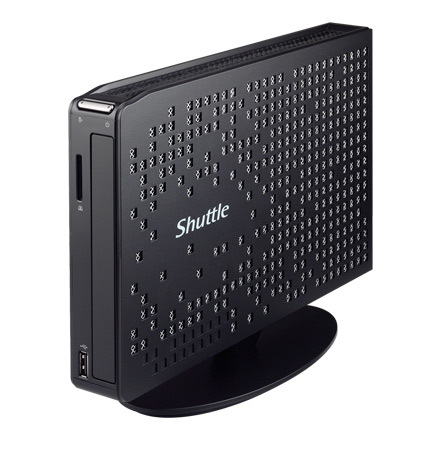 Shuttle introduce the ultra-slim player XS35V3L series with the latest Intel® Atom™ D2550 dual-core Processor, integrated GMA 3650 graphics display, support HDMI and D-sub dual interface for high-definition output capacity. The ultra slim XS35V3L is designed to meet the VESA standard Mount, capable of mounting to the rear of LCD monitor or a TV, can be fully utilized the limited space environment. The extremely fan-less design that it’s not only quiet and low in energy use, but also for 24/7 permanent operation. The XS35V3L has wide range of application in digital signage player. 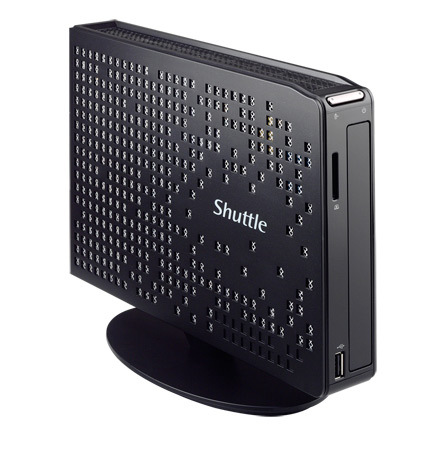 The shuttle ultra slim XS35V3L comes with Intel® Atom™ D2550 dual-core Processor, and Intel® NM10 Express Chipset, with best-in-class capabilities for various applications. 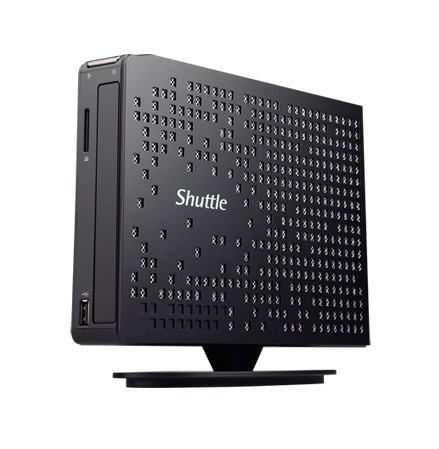 Shuttle XS35V3L comes with the new Cedar Trail-D platform, integration of 32nm Intel® Atom™ processor with GMA3650 graphics capabilities, as well as low-power energy-saving feature. The XS35V3L supports HDMI and D-sub dual monitor video outputs which allow users to switch between mirrored and extended desktop mode on external displays. Designers and those in other professions can get more work done and has an increase in productivity. It’s a conventional way using a fan as a cooling solution to dissipate heat away inside a computer. It usually generates noise, draws dust into the system as well as takes up the inner space. The Shuttle XS35V3L is completely fanless to ensure the passively cooled, quiet, dust-free and low in energy use operating environment. 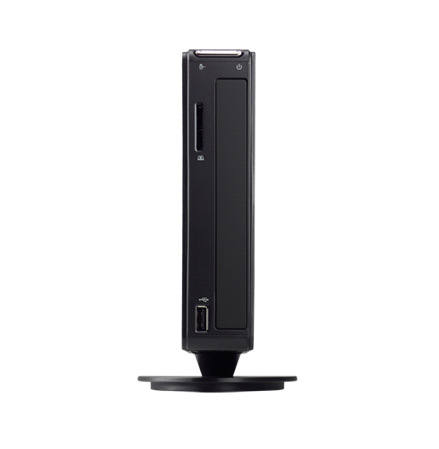 Designed to fit easily into any environment, the Shuttle XS35V3L Slim PC is capable of mounting to the rear of a LCD monitor or a TV with the standard of VESA mounting. This space saving capability makes it easy to blends into any of your environment. 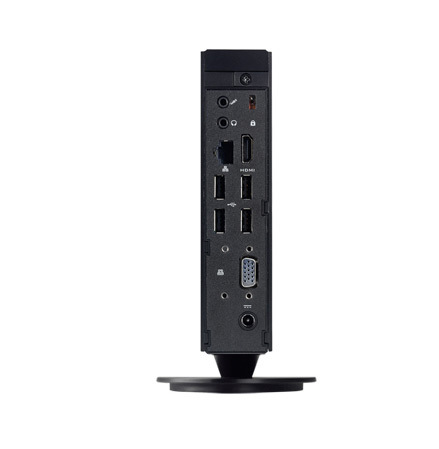 The XS35V3L also features with 5 USB ports, SD card reader, HDMI and D-sub connector and Kensington lock for further applications. 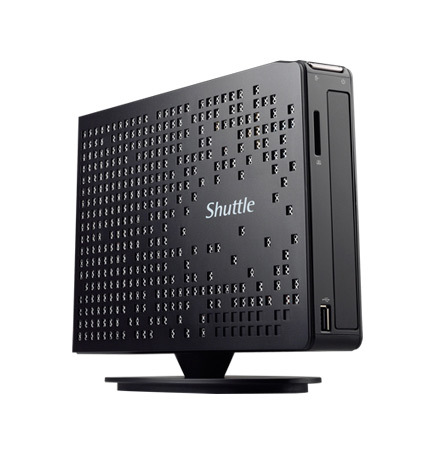 Whether you are in the living room, bedroom, study room or office, the Shuttle XS35V3L is touted as the ideal PC for your everyday computing. Shuttle XS35V3L is officially approved for 24/7 permanent operation. Thanks to its low power consumption and completely passively cooling, this PC runs highly reliable making it perfectly suitable for digital signage and other vertical applications.